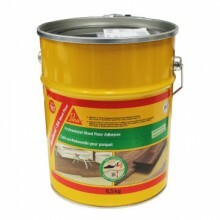 SikaBond 54 Wood Floor is a one component, fast curing, solvent free, elastic adhesive for full surface bonding. *under normal climate conditions, 20°C/60% R.H. Concrete / cement screed: Must be ground and thoroughly cleaned with industrial vacuum cleaner. Anhydrite screed / Anhydrite flowable screed: Must be ground and thoroughly cleaned with industrial vacuum cleaner shortly before bonding starts. Broadcast mastic asphalt: Must be primed with SikaBond® Rapid DPM or Sika® Primer MB. 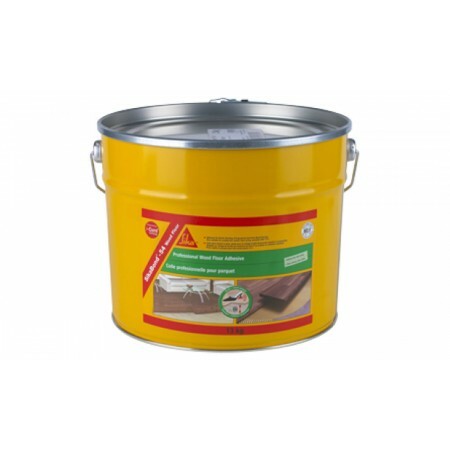 Instructions for use, see Product Data Sheet for Sika Primer MB. Glazed ceramic and old ceramic tiles: Degrease or grind the tile surfaces and vacuum thoroughly. Wood- / gypsum boards (e.g. chipboards, plywood): Glue / screw the boards to the substructure. They must be fixed to the substrate. 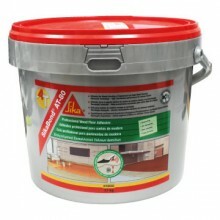 SikaBond® -54 Wood Floor can be used without priming on cementitious floors, anhydrite floors, chipboards, concrete and ceramic tiles. For broadcast mastic asphalt, cementitious floors with excessive moisture content and for use over old adhesive residues or on weak substrates use SikaBond® Rapid DPM or Sika® Primer MB. For detailed instructions consult the Product Data Sheet of Sika® Primer MB or contact our Technical Department. SikaBond® -54 Wood Floor is applied to the properly prepared substrate directly from the pail and uniformly distributed by notched trowel. Press the wood floor pieces firmly into the adhesive so that the wood floor underside is fully wetted. The pieces can then be joined together using a hammer and an impact block. 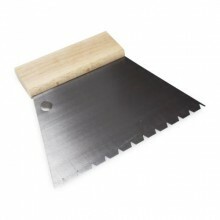 Many types of wood floors have to be tapped from the top. A distance of 10 - 15 mm from the wall to the wood floor must be observed. Fresh, uncured adhesive remaining on the wood floor surface must be removed immediately with a clean cloth. The laying instructions of the wood floor manufacturer as well as standard construction rules must be observed. Cleaning: Acetone or ethanol will remove but hardened adhesive can only be removed mechanically. 12 months from date of production if stored in undamaged, original sealed containers, in dry conditions and protected from direct sunlight at temperatures between +10°C and +25°C.